Despite the fact that soccer has often be thought of as a British game, Europe has certainly caught football fever far beyond the English Channel. With the likes of France, Germany, Spain and Italy all having their own major professional football leagues, keeping up with which is which and what you can expect from the teams and the players is a struggle for more casual fans. Whether you’re looking for a quick overview or you’re looking to get involved with European soccer, we’re taking it back to basics and exploring Europe’s best leagues, below. The Premier League first formed in 1992 when 20 of England’s best teams came together to play a league of their own. With the top four teams qualifying for the UEFA Championships and the fifth qualifying for the UEFA Europa League, it remains the most important domestic league in the UK. From the introduction of World Cup goalscorer Harry Kane to the fame of Newcastle’s investment in Michael Owen, the Premier League has seen its fair share of highlights and remains one of the most watched leagues in all of Europe to date. Ligue 1, also known as ‘League 1’, is France’s answer to the Premier League. In fact, it even works on the same 20-club promotion and relegation system as the aforementioned British offering. Teams will play 38 matches each, split between home and away matches in a face -to-face in the leading football competition in the country. Ligue 1 has provided us with the successful AS Saint-Etienne, and Paris Saint-Germain, current league champions. As one of the top leagues in Europe, La Liga has attracted millions of viewers from all over the globe. With the likes of Barcelona and Real Madrid dominating the league table on a regular basis whilst showcasing extraordinary skill, it’s easy to get caught up in the Spanish alternative to the Premier League. Even shock losers Betis aren’t to be ignored, with the potential to soar through the rankings with a few good goals on their belt. Bundesliga is the German equivalent to the other domestic leagues on this list and features some of the best teams Europe has on offer. From Dortmund to RB Leipzig, the Bundesliga has offered the Europa league some star teams worthy of a place amongst the ranks. This season’s champions are currently Bayern, but Wolfsburg and Hertha certainly aren’t far behind. The league even has one of the highest stadium attendance records worldwide, a worthy title to hold considering that football has quickly become a TV-based sport for most. Serie A is the Italian equivalent of the aforementioned leagues, playing in a round-robin format against one another twice. Serie A has seen format changes aplenty, with the league switching between 18 clubs in 1929-1934, through to 16 in 1934, 20 in 1946, 21 in 1947, 20 in 1948, 18 in 1952, 16 in 1967, 18 in 1988 and finally, 20 in 2004 which is the state it remains in to this day. The table leaders Juventus have dominated the league with 34 titles to their name and with the recent signing of Cristiano Ronaldo, it is clear that Juventus will continue to dominate the league for years to come. Despite being the domestic leagues, the Premier League, Ligue 1, La Liga, Serie A and Bundesliga offer millions of fans some nail-biting gameplay every single year. 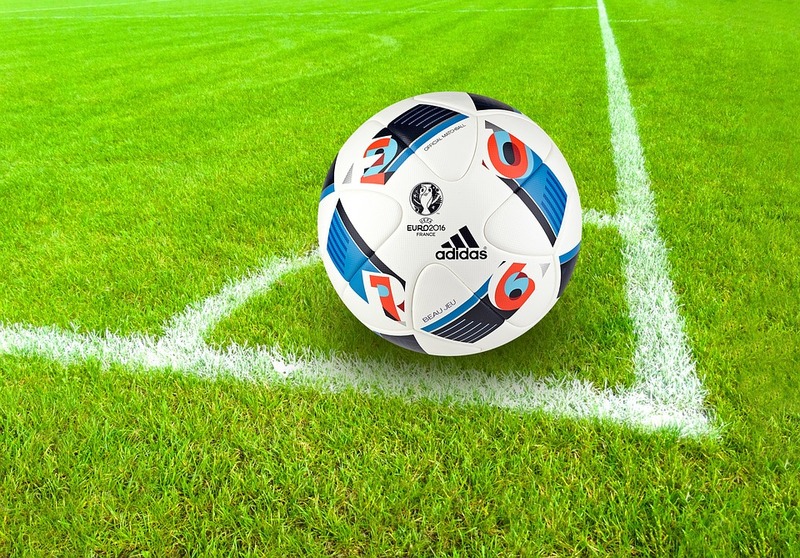 Patching up the time between the UEFA Championships and the UEFA Europa League, domestic football gives local fans the chance to stand behind their favourite teams and players and cheer them all the way to victory for the chance to get their hands on European championship cups. Which will you watch? There can be no denying Manchester City were the deserved winners of the 2017/18 Premier League title. Not only did they win the league, they did it in style, playing some fantastic football and ending the season on 100 points. 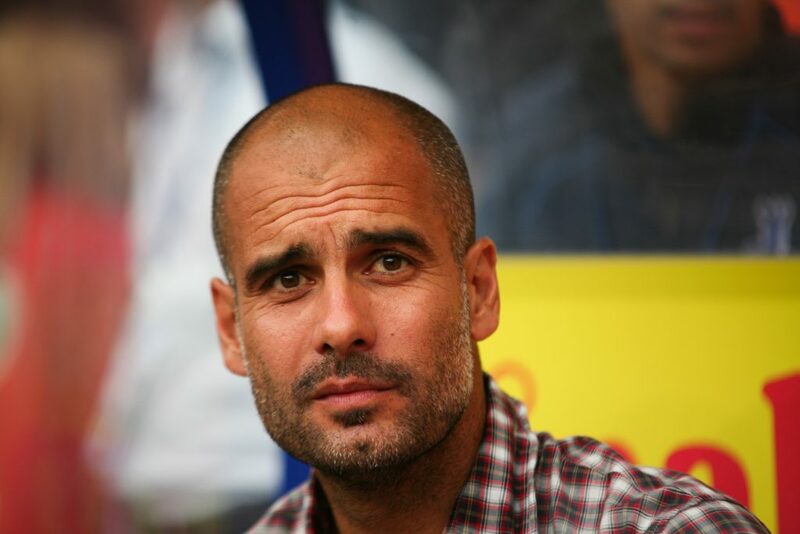 Pep Guardiola’s team finished with 106 goals to their name, 19 points ahead of 2nd placed Manchester United and with 22 more points than Liverpool, who have been praised this season for their excellent attacking play. Not only that, Manchester City conceded fewer goals than any other team in the Premier League, finishing with a plus 79 goal difference. 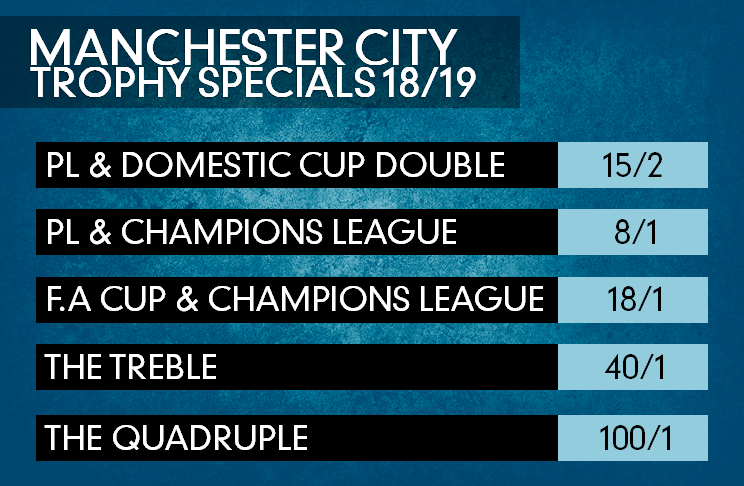 Therefore, it is little wonder many fans of football, including the contributors of this recent article on the Betway blog, have lauded the 2017/18 Manchester City team as being up there with the best we have seen since the league was formed in 1992. Statistically speaking, the newly crowned Premier League champions certainly seem to be the best ever to play in the league. They won more points, scored more goals, had the best goal difference, won by the greatest margin and picked up the most wins of any title winning team to date. Yes, this was a manager and group of players put together at huge cost but throwing money at a team does not guarantee success and the way Manchester City have played this season has been superb. However, they have lost games, including a defeat at Anfield against Liverpool and at home to local rivals Manchester United. 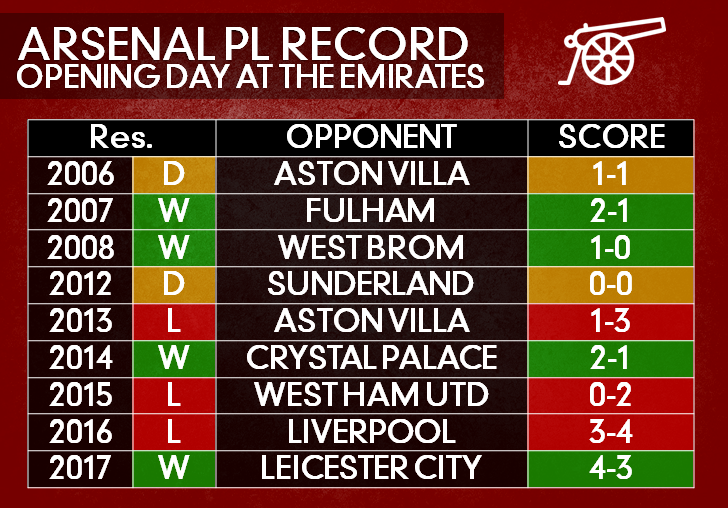 This is perhaps their one main failing of the season and why the Arsenal team of 2003/04 is regarded by many as being the best to every play in the Premier League. That was the only time since the turn of the 19th century a team has gone the whole season without tasting defeat. The defence must take huge credit as this is where many long undefeated runs are based but Arsenal were an incredible attacking force, with Thierry Henry and Dennis Bergkamp forging a great partnership up-front. Robert Pires and Freddie Ljungberg also had major roles to play from wide midfield and Sol Campbell was the key man at the back. To go a full Premier League season unbeaten, along with other commitments in the domestic cups and Europe, is a phenomenal achievement and one we may not see again for a very long time. When assessing Manchester City’s point haul for this season, one cannot help but look back at the Chelsea squad of 2004/05. This was Jose Mourinho’s first season in charge at Stamford Bridge and the defensive quality of the team was astounding as they went on to set the record for the highest points total of 95 prior to the 100 achieved by Manchester City this season. Claude Makelele was the fulcrum of this team and allowed the forwards to break with freedom while providing cover to the defence when necessary. Chelsea conceded only 15 goals in winning the title that season, keeping 25 clean sheets in the process. For those who enjoy the defensive side of the game, this Chelsea team was a masterclass. When discussing the 5 best squads to every play in the Premier League, it is impossible to ignore Manchester United. The Red Devils tasted great success under Sir Alex Ferguson and two squads in particular come to mind, starting with the 2007/08 team. This is a team who had a bit of everything, a top goalkeeper in Edwin van der Sar, the central defensive partnership of Rio Ferdinand and Nemanja Vidic plus Paul Scholes, Cristiano Ronaldo, Wayne Rooney and Carlos Tevez further forward. Ferguson came into his own with his tactical brilliance throughout the season and while Manchester United only finished 2 points clear of Chelsea, they went on to lift the Champions League. Finally, we come to the 1998/99 Manchester United squad who swept all before them at home and abroad. They finished above Arsenal to win the Premier League title on the final day of the season, coming from a goal behind to defeat Tottenham 2-1 on the final day of the campaign. A 2-1 win over Newcastle United in the FA Cup followed before the dramatic injury time victory over Bayern Munich in the Champions League final. It was the first time in history an English team had completed the treble and with the level of competition so high in the Premier League and Champions League now, we may never see the likes of it again. Chelsea fans may feel they have another squad who should be included in the list and Leicester City produced the biggest upset we have seen in years to win the title in 2016/16. However, the 5 squads mentioned above must be considered the best ever to play in the Premier League.